Situated right across the sandy beach of Tigaki, Zorbas Beach Hotel is a charming and modern 4* establishment. The hotel features 3 free-form swimming pools one of which is an adult only pool, a spacious buffet restaurant, a theme restaurant, 2 pool bars, 1 snack bar and a main bar in the lobby area. In addition, it features an elegant boutique spa, a night club and a mini market. 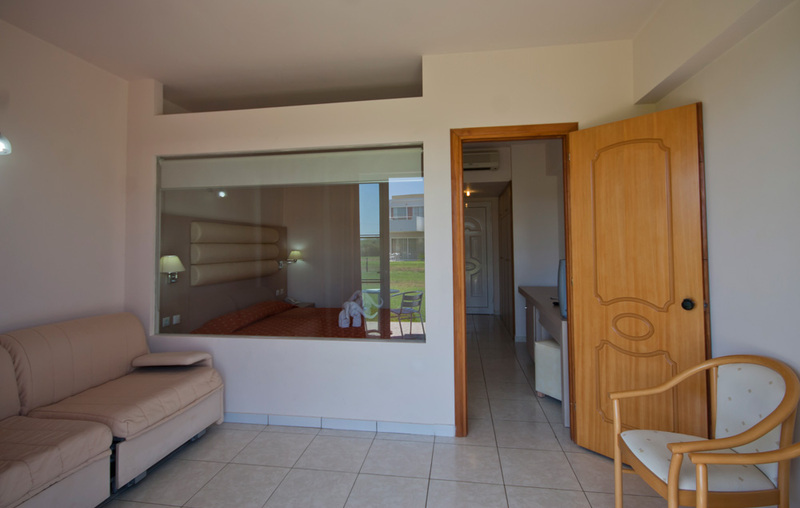 The accommodation units are all modernly furnished with views on the Aegean Sea and the surrounding mountains. Surrounded by landscaped gardens, Zorbas Beach rooms are spacious and air conditioned with en-suite bathroom with bathtub or shower. They are all equipped with a TV, fridge and hairdryer and they all feature a large balcony or terrace. The on-site restaurant features a bright dining area with floor-to-ceiling windows that open out to a shaded terrace. Drinks and cocktails can be enjoyed either at the main bar or at one of the 2 pool bars. Guests can spend relaxing moments in the spa enjoying amazing body and facial treatments whilst in the evening they can dance until the early morning hours in the hotel’s night club. For the more active ones, there are numerous sports activities on premises such as tennis, basketball, soccer and a fitness room. The centre of Tigaki is 1.5 km away and includes many restaurants, cafes and shops. The main town of Kos is 10 km away and Kos Airport is at 15 km. Free on-site parking is available.